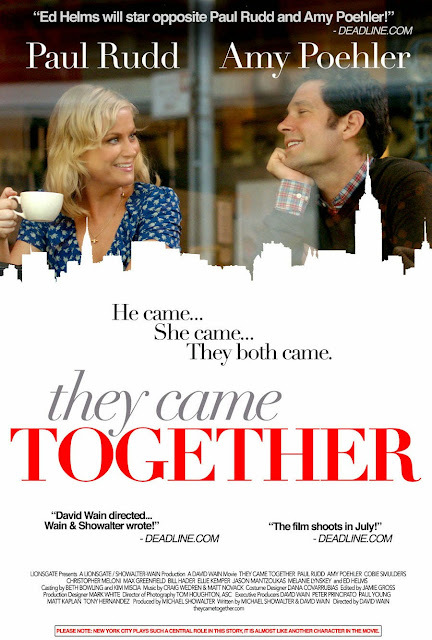 Recently I was browsing Netflix as you do, and I noticed this film called They Came Together starring Paul Rudd and Amy Poehler. I absolutely adore Paul Rudd so decided to give it a go. 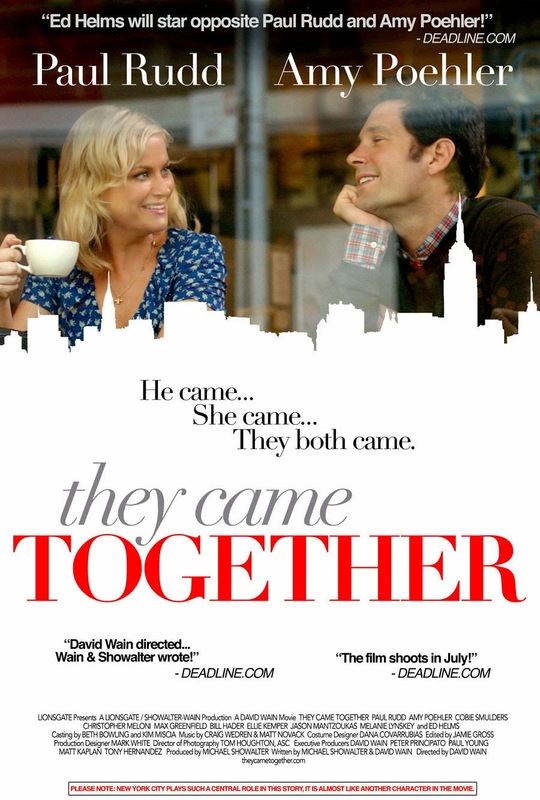 They Came Together is a very strange movie, it's quirky and pokes fun at every sort of romantic comedy at the moment. Full of cliché moments such as the first meeting and different character being stereotypical romantic comedy characters. I really enjoyed it as I love comedies and the cast is what makes the film work really well, you can tell everyone is friends and it's nice to see actors that have worked together before so their chemistry is better than two strangers. I'd recommend this movie if you want to waste an hour and a half and are interested in films that are funny and satire, as this film is a spoof from start to finish. Paul Rudd and Amy Poehler are both brilliant, I also thought Bill Hader and Ellie Kemper were brilliant as the other couple.